VICTORIA, BC – Phillips Brewing has announced the release of an updated version of its Hop Box sampler pack, featuring a selection of four hop-forward beers. Now packaged in 355 ml cans “for added portability and flavour stability”, the new Hop Box 12-pack features three cans each of Short Wave West Coast Pale Ale, Bottle Rocket ISA, Electric Unicorn White IPA, and Hop Circle IPA. 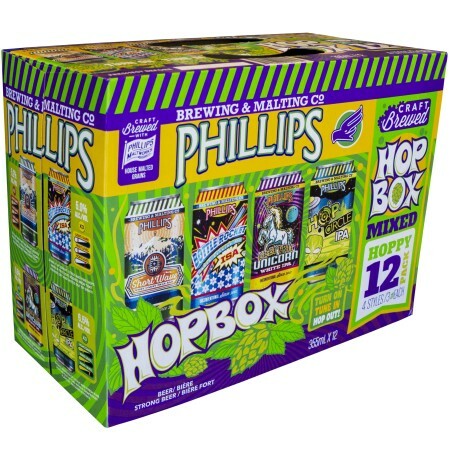 Phillips Hop Box is available now at select liquor retailers in British Columbia and Alberta.